Posts tagged "Andrew W. Walker"
Kept Woman is trapped in a nightmare on Lifetime! Lifetime rips more scandals from the headlines with Kept Woman, which appears to be a modified version of the Arlene Castro kidnappings, with a healthy dose of 1950s women are objects sleaze thrown in to make things safe for television but still incredibly gross. For not only is Courtney Ford kidnapped, but the kidnapper has his own brainwashed Stepford wife #1 already who helps him try to break her in. But she’s not going to take that without a fight. Jessica and her fiancé Evan just moved from the city into their dream home on a quiet suburban street. Soon after, Jessica catches her seemingly friendly new neighbor, Simon, in a strange lie and can’t let her suspicions rest. The danger escalates when Simon lures her inside his home and imprisons Jessica in his secret bunker, meticulously decorated in the idealized style of the 1950’s. Here she meets Robin, a woman who’s been held captive by Simon for several years and brainwashed into living as his faithful companion – a fate that is now set for Jessica unless she can somehow find a way to escape from Simon’s time-warped prison. Inspired by true events. Creepy creeps being creeps? This looks insane! I’m totally there. 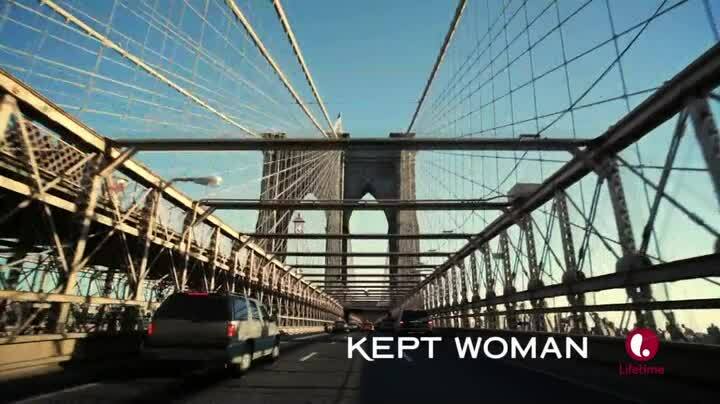 Kept Woman premieres Saturday, February 28th on Lifetime! Bridal Wave rolls into Hallmark Channel! You can’t stop the tides, but you can hide behind a coat rack! Bridal Wave is yet another Hallmark Channel warning about rushing into marriage, because once again a bride-to-be is having doubts and then some random guy pops out of nowhere to disrupt everything! The lesson is, don’t get married unless you 100% know you want to get married and stay married. That concept may seem simple, but there sure are a lot of people who don’t bother to follow it, and a lot of people who easily change their minds once they are married. Romance movies like this are all about wondering if the woman/guy will drop their zero and get with the hero, so expect 90 minutes of Georgie waffling back and forth on if she wants to stick with the lame-o or run off with the guy she just met at an island resort. Since the synopsis shows the mom-in-law is a classist jerk, I’m already cheering for her to live with the unemployed guy who lives on the island. Maybe that ends up being better than it sounds? We’ll have to watch Bridal Wave to be sure, but if it doesn’t feature the bride on a surf board in her bridal dress (preferably while running away from her wedding), it will disappoint. As her wedding day draws near, Georgie Dwyer (Arielle Kebbel) has doubts surrounding her plans to marry Dr. Phillip Hamilton (David Haydn-Jones), a dashing and prominent plastic surgeon. Though Phillip qualifies as the “perfect” fiancé, Georgie feels a romantic spark is missing in their relationship. Tensions rise even further when Phillip’s sophisticated mother, Felice (Jaclyn Smith), blatantly frowns upon Georgie’s working class origins. On the picturesque island, Georgie keeps finding herself in chance encounters with Luke Griggs (Andrew W. Walker), a handsome ex-architect, who walked away from a high-end architectural firm to enjoy a simple, no-frills life. When an undeniable chemistry develops between Georgie and Luke, Georgie must decide if she’s going to move ahead with her rapidly approaching marriage to Phillip. Bridal Wave stars Arielle Kebbel (90210) as Georgie, Andrew Walker (Wedding Planner Mystery) as Luke, David Haydn-Jones (A Cookie Cutter Christmas) as Phillip, Colleen Wheeler (Better Than Chocolate) as Emma, Anna Van Hooft (Flash Gordon) as Melissa, Daryl Shuttleworth (Amber Alert: Terror on the Highway) as Judd, and Jaclyn Smith (Charlie’s Angels) as Felice. 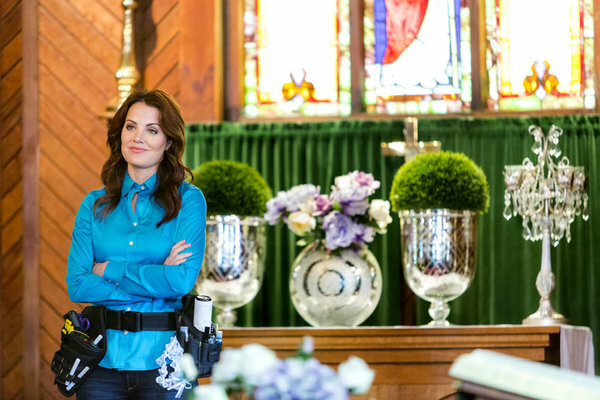 Bridal Wave premieres Saturday, January 17th on Hallmark Channel!